A team of international archaeologists have unearthed thousands of ancient Maya structures in Guatemala. Buried deep in the jungle, the discoveries could change the way we think about the lost Maya civilization. Researchers from Guatemala's PACUNAM foundation said on Thursday they had mapped the outlines of dozens of newly discovered Maya cities previously hidden deep in the jungle. About 60,000 structures have been discovered over the past two years in the northern department of El Peten, which borders Mexico and Belize, according to Marcello Canuto, one of the project's senior investigators. 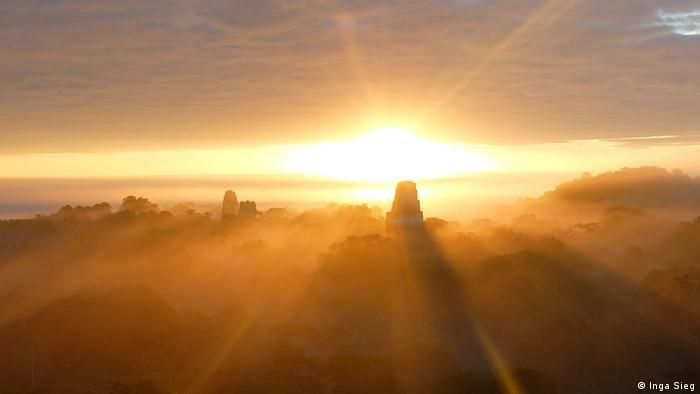 The findings are a "revolution in Maya archeology," Canuto said, adding that researchers now believe the Maya had a population of 10 million, "much higher" than previous estimates. The discoveries include urban centers with sidewalks, homes, terraces, ceremonial centers, irrigation canals and fortifications, said Canuto, an archaeologist at Tulane University in the US. The research – using LIDAR (Light Detection and Ranging) technology that beamed light from aerial lasers to construct a survey of buried structures – found a pyramid almost 100 feet (30 meters) in height. It had previously been thought to be a small mountain in the heart of the ancient Maya city of Tikal, a major tourist destination in northeastern Guatemala. "Now it is no longer necessary to cut through the jungle to see what's under it," said Canuto. A series of pits and a 14 kilometer-long wall were also discovered in Tikal. "The fortified structures and large causeways reveal modifications to the natural landscape made by the Maya on a previously unimaginable scale," said Francisco Estrada-Belli of Tulane University. The Maya civilization was one of the most advanced to arise in Mesoamerica, which spread throughout present-day Central America and southern Mexico. The earliest Maya settlements were built in about 1,000 B.C. and most major Maya cities had fallen into ruin by about 900 A.D. The civilization reached its peak in what is present-day southern Mexico, Guatemala, and parts of Belize, El Salvador and Honduras between 250 and 950 B.C.